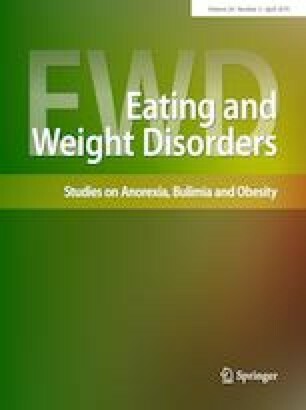 Behavioral predictors of weight-loss program (WLP) outcomes are needed and important because they can be modified. Eating calorie-dense palatable foods (PFs) outside of hunger contributes to obesity. This study assessed if habitual motives to consume PFs could predict weight-loss outcomes. N = 171 Black and N = 141 White adults in a reduced-calorie program completed the Palatable Eating Motives Scale (PEMS). Body weight and body mass index (BMI) lost after 3 and 6 months were analyzed controlling for initial BMI and demographics. Greater PEMS motive scores meant more frequent habitual intake of PFs for that motive. Whites vs. Blacks had higher scores on most of the PEMS motives: Social, Coping, and Reward Enhancement. In Whites at 3 months, greater Reward Enhancement scores and initial BMI predicted more BMI loss (p < 0.05). At 6 months, greater Reward Enhancement and lower Conformity scores predicted more weight (p < 0.05) and BMI loss (Conformity: p < 0.05; Reward Enhancement: p = 0.05). PEMS motives did not predict outcomes for Blacks. The results provide preliminary evidence for the PEMS to predict WLP outcomes. White patients who eat PFs primarily for their rewarding properties and less to conform should fare better in Lifestyle programs while group or family-based interventions may be more efficacious when conformity is the main motive. Lower motive scores among Blacks suggest that eating PFs outside of hunger may go unrecognized or underreported and warrants further investigation. The findings highlight the motive-based heterogeneity of obesity and how it may be used to predict outcomes and customize interventions to improve WLP outcomes. Level IV, multiple time series. Mary M. Boggiano: Published also as M. M. Hagan. Maria Sylvester declares no conflict of interest. Emilee Burgess declares no conflict of interest. Taraneh Soleymani declares no conflict of interest. Sunil Daniel declares no conflict of interest. Bulent Turan declares no conflict of interest. Mary Katherine Ray declares no conflict of interest. Courtney Howard declares no conflict of interest. Mary Boggiano declares no conflict of interest. All procedures performed were in accordance with the ethical standards of the institutional research committee and with the 1964 Helsinki declaration and its later amendments or comparable ethical standards.